Between Rosslyn and the U.S. Marine Corps War Memorial. A significant portion of the project area is within National Park Service (NPS) land. This will necessitate federal agency reviews and approval from NPS before construction can proceed. 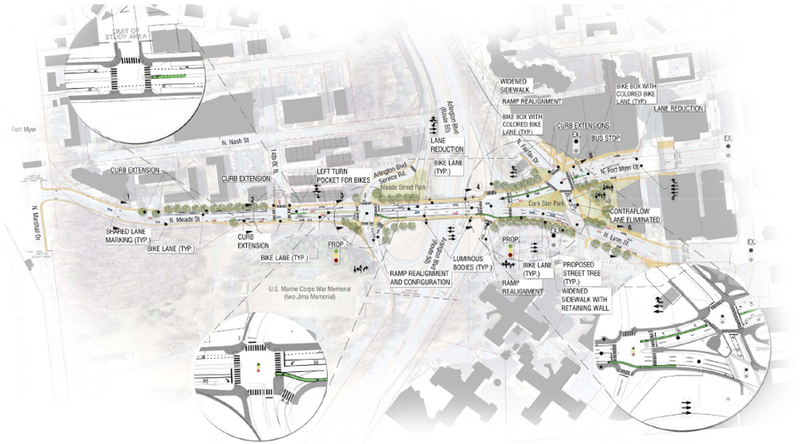 The preferred concept plan has been reviewed by the Virginia Department of Transportation (VDOT), whose comments will be addressed during the final engineering phase. Final engineering will need to be approved by VDOT as a condition of granting construction permits. 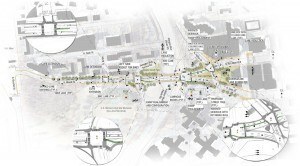 A study in January 2011 assessed safety, accessibility and functionality improvements for the Meade Street Bridge. Three different concept alternatives were designed as part of the study before a final preferred concept plan was developed in early 2012. 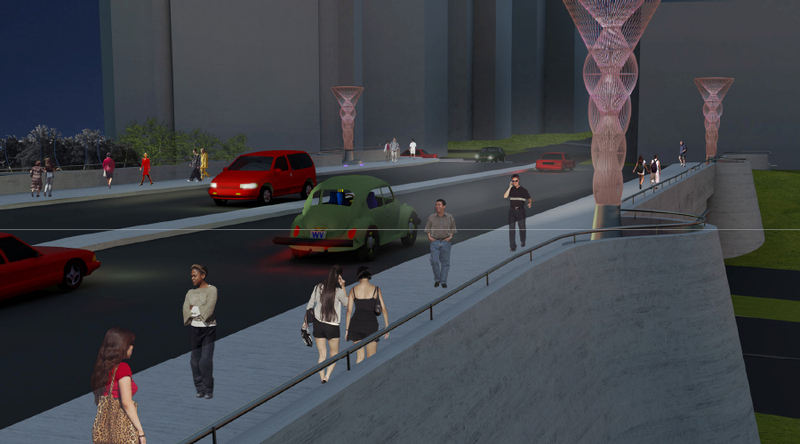 It’s anticipated that a redesigned bridge and approaches will improve safety on the bridge and enhance the overall pedestrian experience between Rosslyn and the U.S. Marine Corps War Memorial (Iwo Jima Memorial). The estimated cost for the preferred concept plan is approximately $5 million. 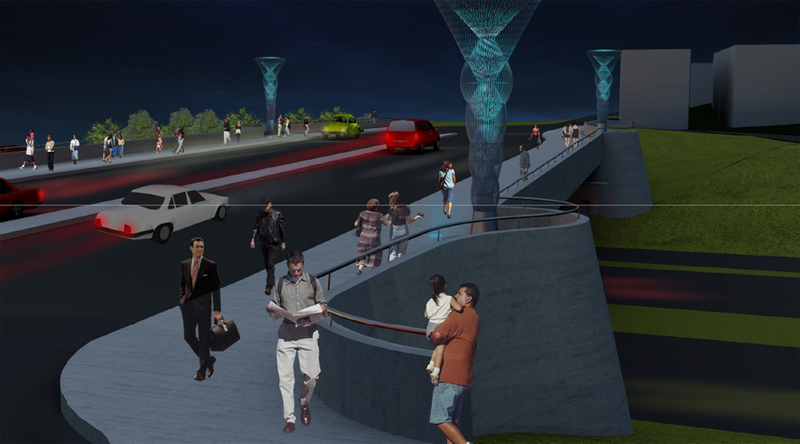 The cost estimate does provide for the structural and electrical infrastructure necessary to support the future “Luminous Bodies” associated with the “Corridor of Light” public art project in Rosslyn, but doesn't include costs for construction or installation of the sculptures.